September 19: That’s when you’ll be playing Marvel vs. Capcom Infinite, the next entry in the on-again-off-again will-they-or-won’t-they fighting game crossover series, on PlayStation 4, Xbox One, and/or PC. 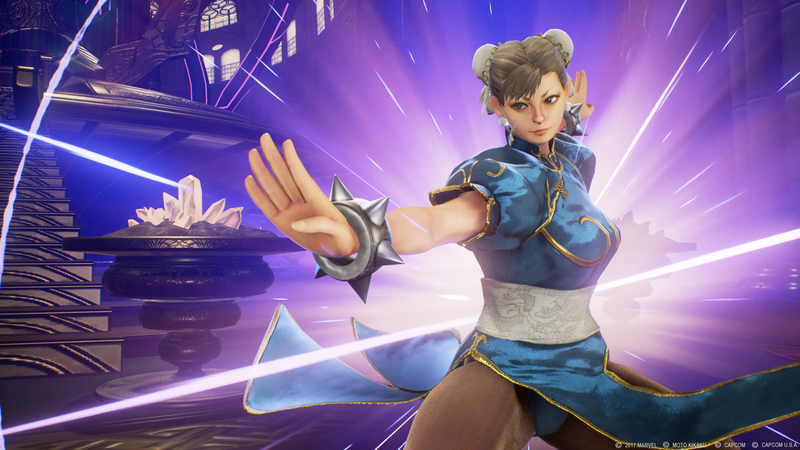 Besides announcing the game’s release date, Capcom officially let loose the news about the new characters joining the 2-0n-2 tag team game’s roster of fighters. From the Capcom side, there’s Street Fighter’s Chun-Li, Resident Evil’s Chris Redfield, and Strider’s Strider. The Marvel heroes include Thor, Hawkeye, Hulk, and everybody’s favorite foul-mouthed procyonid Rocket Raccoon. But wait—there’s more! Ultron will also join the battle, as well as Mega Man X antagonist Sigma, although the latter will have to be purchased separately via the post-launch Character Pass DLC. This will feature 6 extra fighters in total. Capcom also took the wraps off the game’s big bad: It’s Ultron Sigma, some kinda trans-dimensional combination of the two evilest robots. Best not to think about it too much. You’ll learn all about him in the game’s “cinematic Story Mode,” Capcom says. The new characters join the fighters announced last year at PlayStation Experience, those being Captain America, Captain Marvel, Iron Man, Mega Man X, Morrigan, and Ryu. Besides the $60 standard edition, the game will also be available in a Deluxe edition of indeterminate price that will include the aforementioned Character Pass, as well as an extravagant $200 Collector’s Edition that will include “four premium character dioramas of Iron Man, Captain Marvel, Mega Man X, and Chun-Li” as well as “a case filled with six Infinity Stone replicas.” For that kinda money, I’d expect the dang Infinity Stones to actually work.